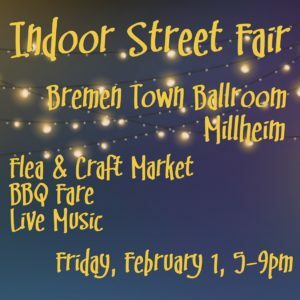 Mark your calendars for another unique Friday night in Millheim! The Indoor Street Fair is just what you need to combat the winter blues. 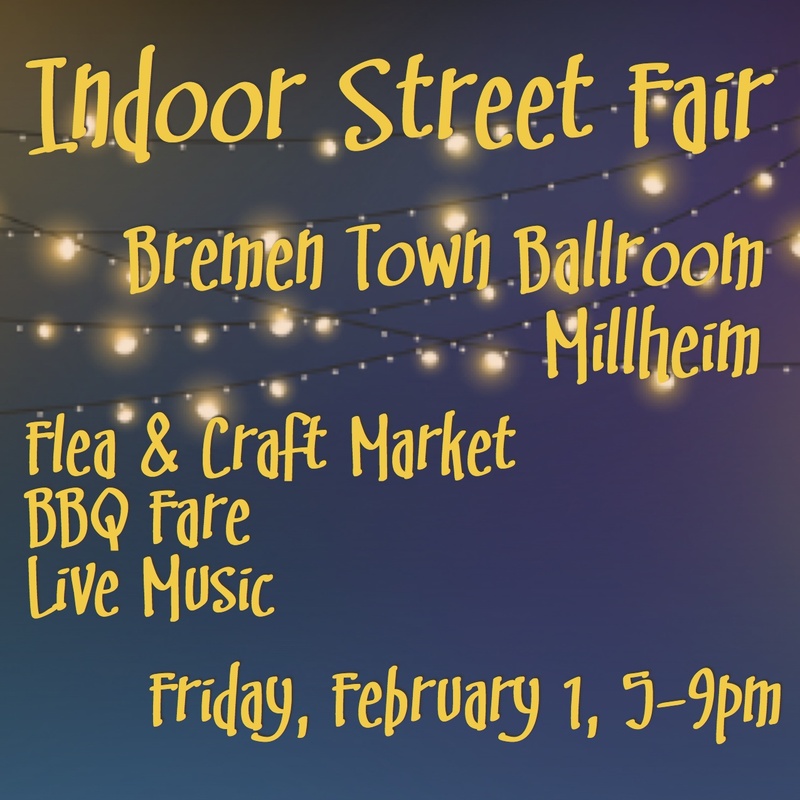 Come inside the cozy Bremen Town Ballroom and choose from a full, yummilicious LeRoy BBQ menu, and after you eat, shop at the craft and flea booths. Live street music TBA as well. If you’re interested in be a vendor, please send an email with your name and what you’re selling to ecovents@gmail.com.We’ve got room for 1-2 more. Menu and music to be announced soon!